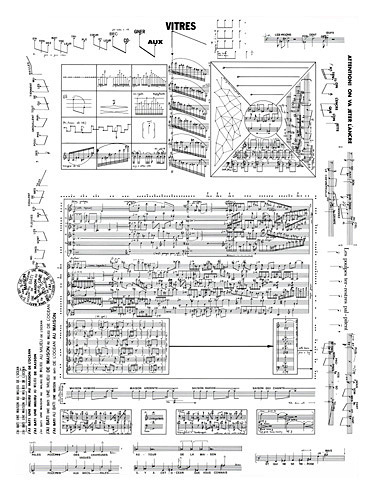 Three large pages that combine traditional and graphic notation. 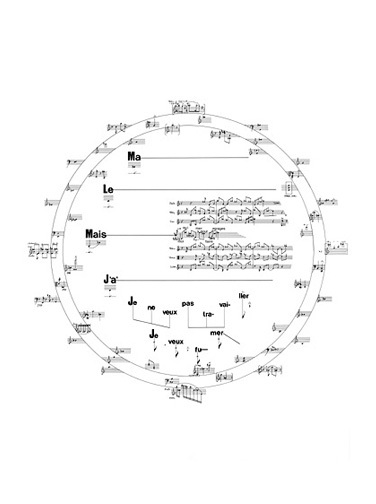 Each provides material (and a visual analog) for one of the songs: I – Montparnasse, II – Hôtel, and III – Océan de Terre. Their structure can be improvised by the performers, or organized in advance. Images are copyrighted and not for download. 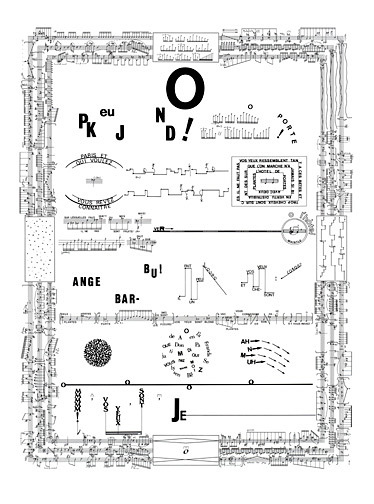 Full-size, archival prints are available by contacting the composer.